Published on November 23, 2016. Morgan Spurlock, the man whose "Super Size Me" helped shine a light on overeating at fast-food chains more than a decade ago, has a new job: owner of a fast-food restaurant. Yes, really. Mr. Spurlock, who famously ate massive McDonald's meals over the course of his 2004 film, just opened Holy Chicken! to serve "fast food with integrity" such as crispy chicken sandwiches and sides such as crunchy green beans, in Columbus, Ohio. A representative said the restaurant served well over 500 people on Saturday's grand opening day and sold out of food by 3 p.m. Along with raising its own chickens, the for now one-shop restaurant serves food that it says is "hormone free, antibiotic free, cage free, free range, farm raised, humanely raised and 100% natural!" Speaking of McDonald's, the fast feeder's McCafé coffee brand is soaring to new heights. Literally. Canada's WestJet is serving McCafé Premium Roast coffee on its flights, with regional airline WestJet Encore set to follow. The airline's partnership with McDonald's Canada kicked off Nov. 21. WestJet declined to say what kind of coffee it previously served but said it was not a national brand. WestJet said it expects to serve about 30,000 cups of McCafé coffee daily. 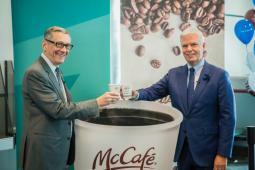 "We've always believed that the sky is the limit for McCafé -- and today this officially rings true," McDonald's Canada President and CEO John Betts said in a statement. In other beverage news, PepsiCo and Dr Pepper Snapple Group this week made moves to make their drink portfolios a little bit healthier via acquisitions. 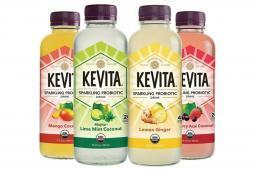 PepsiCo said Tuesday it was buying KeVita, which makes fermented probiotic and kombucha beverages. Products include of Sparkling Probiotic Drink, Master Brew Kombucha and Apple Cider Vinegar Tonic. PepsiCo did not disclose the transaction price, but Fortune reported the deal to be worth around $200 million. 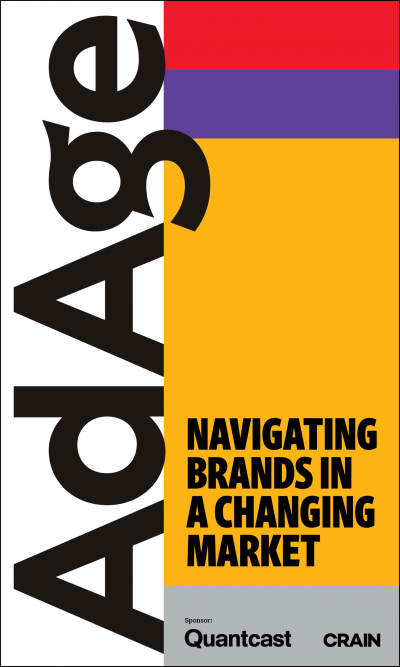 Dr Pepper Snapple on the same day announced it acquired Bai Brands for $1.7 billion. Bai's products include enhanced water, carbonated flavored water, coconut water and premium ready-to-drink teas. 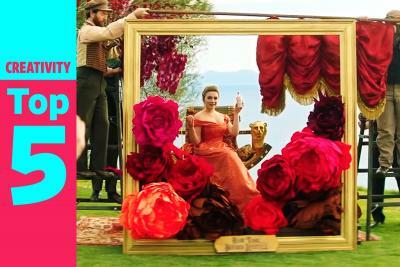 Dr Pepper previously had partial ownership and distributed Bai drinks as an allied brand. Bai recently debuted five carbonated beverages sweetened with stevia and erythritol that are marketed under the name Bai Black. 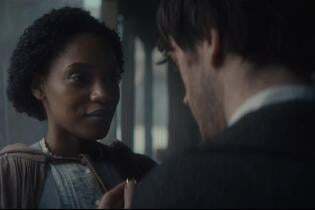 Bai in February ran a regional Super Bowl ad by Barton F. Graf. This year there are new tools to help recover from Thanksgiving turkey fails. Pork company Smithfield and agency Doner will deliver free fully-cooked hams to people in the Detroit area who activate "The Hambulance" through Amazon Echo devices. "We're exploring all the ways we can use technology to make our products relevant at the right moments," Michael Merritt, senior director-brand marketing, Smithfield, said in a statement. If successful, the program will be rolled out in more markets for future holidays. Those hoping to rescue their turkey dinners, meanwhile, can now text the Butterball hotline. Butterball's Turkey-Talk Line is now in its 35th year. And, since it's 2016, Butterball even attempted the "Mannequin Challenge" ahead of the holiday. Chief marketing officers and chief information officers are getting along better, but they still don't necessarily see eye-to-eye on some things -- such as the effectiveness of mobile and digital advertising. Those are among the findings of a Leapfrog Marketing Institute survey conducted last quarter among 198 executives mainly in larger firms with more than 3,000 employees and $1 billion in annual sales. The survey found 90% of each group saw a lift in alignment since last year. One thing they're aligned on: Only a third of each group believes their CEOs are committed to "digital transformation." But while 62% of CIOs are satisfied with how mobile and digital channels are driving sales, only 38% of CMOs are. The CMOs see return on investment as twice as important as brand awareness metrics in measuring those results they're mostly not satisfied with. And they identified mobile as the weakest sales channel, despite high levels of consumer adoption. 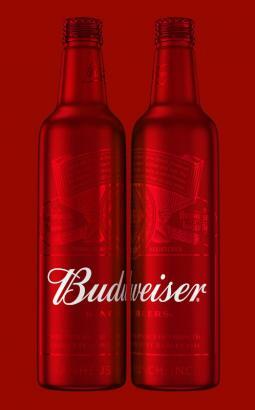 Budweiser is seeing red for the holidays. The brew is launching limited-edition packaging featuring an all-red look for aluminum bottles. Design firm Jones Knowles Ritchie of New York handled it. "At Budweiser, we have a long-standing tradition of decorating our local breweries across this country during the holidays," Bud VP Ricardo Marques said. "This season, we want to extend the holiday cheer with our limited-edition bottles and toast to a bright new year." Bud Light, meanwhile, is going gold -- at least partially. The brew is releasing "Strike Gold" Super Bowl-themed packaging that includes 37,000 randomly inserted gold Super Bowl 51 cans. Drinkers who find one can enter a sweepstakes for the chance to win Super Bowl tickets each year for the rest of their life. 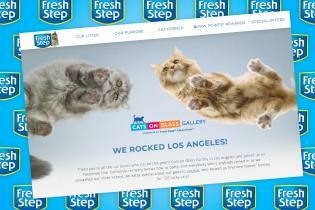 The pet food industry has taken in recent years to calling their customers "pet parents." A new report from brokerage firm Acosta, the "Pet Parenting Boom," suggests this isn't a misnomer. The study finds 50% of pet owners report including their pets in family holiday cards. And 80% of pet owners report treating their pets like children. Dollar Beard Club has a new, relatively star-studded video aimed at dispelling, or possibly confirming, misconceptions about their customer base. The maker of oils, lotions, combs and other accessories for bearded men has assembled a cast that includes Seattle Seahawks defensive back Richard Sherman along with a group of celebrities and near celebrities that includes Riley Hawk, professional skateboarding son of Tony Hawk; "Sons of Anarchy" star Kurt Yaeger, self-proclaimed "King of Instagram" and DBC seed investor Dan Bilzerian, and, of course, two-time World Beard Champion Maddison Rowley. The club, with only two seed investors who've put in less than $1 million, has just passed $15 million in sales since its June 2015 inception and is now averaging $1 million a month in sales, a spokesman said. GameStop Corp. is teaming up with Playwire Media, an online representation firm for reaching gamers. Playwire will exclusively handle the 3,900-unit retail chain's non-endemic advertising, the companies said. It will also handle advertising inventory on GameStop's GameInformer.com, a site for video game and entertainment players. "In uniting two titans of the gaming world, GameStop Corp. and Playwire Media are poised to deliver top content and in-store experiences to customers, as well as unprecedented targeted reach for advertisers," said Jordan Fraser, director, GameStop TV business development, in a statement. 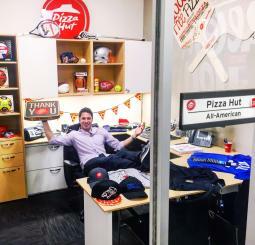 As Lowdown let you know in October, Pizza Hut was hunting for a big college sports fan for a special job: attending as many Division I NCAA championships as he or she can during the 2016-17 season for the brand, the official pizza of the NCAA. Pizza Hut said it received more than 1,000 submissions for the $50,000 gig. The winner is Jason Fisher, 32, who lives in Los Angeles, founded his own production company, In The Zone Productions, and previously hosted "Tailgate 48" on Big Ten Network. Mr. Fisher kicked off his role as Pizza Hut All-American at this month's NCAA Cross Country Championship. In a nod to the brand, Pizza Hut said the location of the event, Terre Haute, Ind., was renamed "Terre Hut" for a day with an official proclamation from Mayor Duke Bennett. Mr. Fisher is posting about his travels on Twitter.